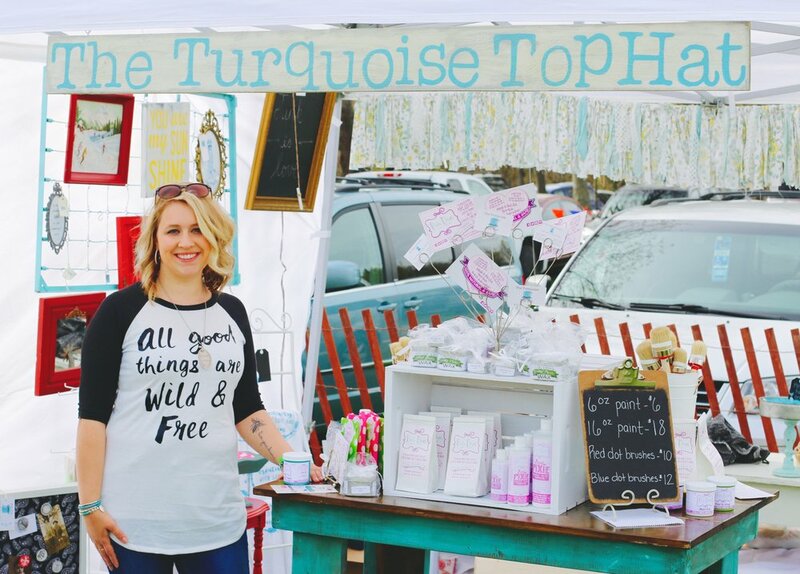 I'm Taylor Sebrechts-- CEO/HBIC + Creative Coach AND the lady behind all that turquoise! Ever since I can remember, I have loved creating beautiful (and sometimes messy) things. The more colors, the better! As I grew older, I would often meet others who have a hard time embracing their inner creativity. In 2016, I made it my mission to inspire others to make beautiful things by forming The Turquoise Top Hat. Let me help you push past that fear to be perfect and embrace the desire that we all have to be CREATIVE! We've been hosting our signature painting events for more than 2 years! 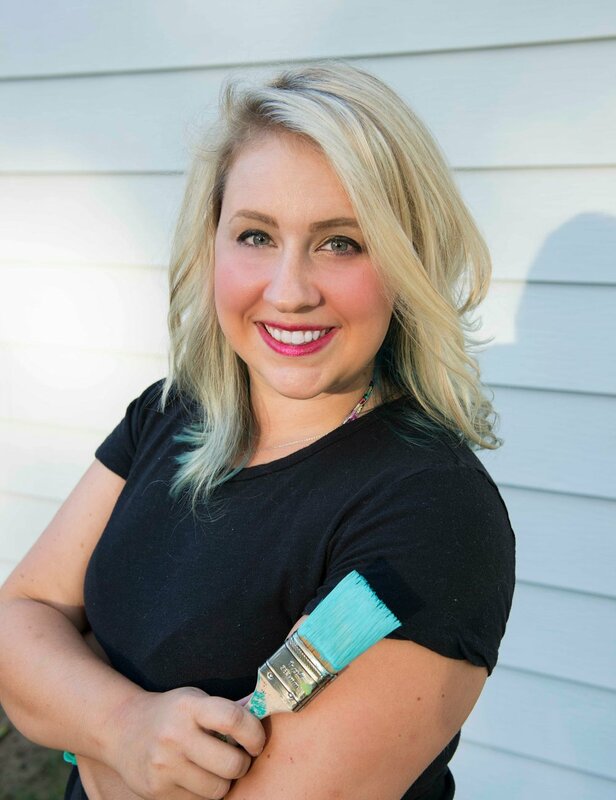 We specialize in easy to follow directions led by Taylor and our other creative instructors, both in our workshop and other venues around Michigan. 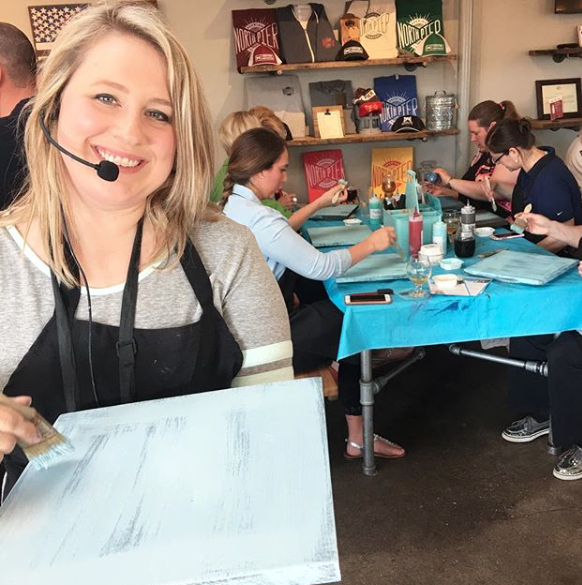 Our painting events are the perfect way to get creative and enjoy time with family and friends! Love hunting for vintage finds and rusty treasures? ME TOO! Stop by one of our upcoming vendor events where we'll have a booth full os awesome stuff, including our painted signs, paint products and SO MUCH MORE! We participate in events across the midwest all year long; check out our calendar! Woot woot! We opened a retail and studio space in Stevensville, Michigan! Join us for in-house painting events, furniture painting workshops, kids classes and so much more! Shop through our boutique of handmade and vintage items carefully selected by me and the Top Hat Crew! Talk to me! I'll get back with you shortly!